Bollywood superstar Aamir Khan's #Dangal has zoomed past the Rs 100 crore-mark within four days of its release in China, breaking a record previously set by the actor-producer's #PK. He is touched with the love shown towards the film. "Dangal", a story of a wrestler who trains his daughters to become world champions in wrestling, released in China as "Shuai Jiao Baba" on May 5 which means "Let's Wrestle, Dad". The movie released in around 7,000 screens and minted over Rs 120 crore by Tuesday evening, said a spokesperson of Aamir Khan Productions. Reacting to the overwhelming response to the movie, Aamir told IANS over email: "Me and the entire team of 'Dangal' are very touched with the love and affection that our film 'Dangal' is getting in China. I have been visiting Chinese social media websites and reading translations of the reactions. It is truly moving to see such a strong emotional bond that the Chinese have with our film. "On behalf of our entire team, I would like to thank our Chinese audience and want them to know that we are all so happy. And I would like to thank our distributors in China for giving our film such a nice release." In the past, Aamir's "3 Idiots" and "PK" did well in China. 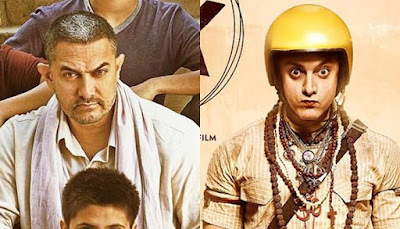 In fact, "PK" was the first Bollywood film to mint over Rs 100 crore in China -- and it had done so in 16 days back in 2015. A biopic of former Indian wrestler Mahavir Phogat, "Dangal" had also resonated well with the Indian audience, generating over Rs 385 crore ticket sales upon its release in India. Just a month before the movie's release, Aamir and "Dangal" director Nitesh Tiwari were in China to promote "Dangal", which officially opened this year's edition of the Beijing International Film Festival.